It is with deepest regret that I share the news of the passing of Lewis & Clark Scout Camp icon and our Scouting friend, David “Davey” Jones. Davey passed away in his sleep on September 5th while on a fossil hunting expedition with a friend in Lusk, WY. It is not over stated to say that Davey was a legend among Scouts who attended summer camp at Lewis & Clark. This past camping season was Davey’s 37th at the camp on the hills above the Missouri River. His legacy literally touched the lives of thousands of campers throughout the decades. Davey’s impact on Scouting was not limited to summer camp alone. He was a stalwart presence in local Scouting in both the Worthington and Marshall, MN areas. His distinctive voice, the always positive attitude and the wealth of knowledge will be sorely missed by all. In many college communities, Davey was renowned for his knowledge of, work in and support of paleontology. It is fitting that Davey’s last hours were spent doing what he loved. Davey’s family wishes to express their thanks for the many kind words of condolence they have received from the Scouting community. 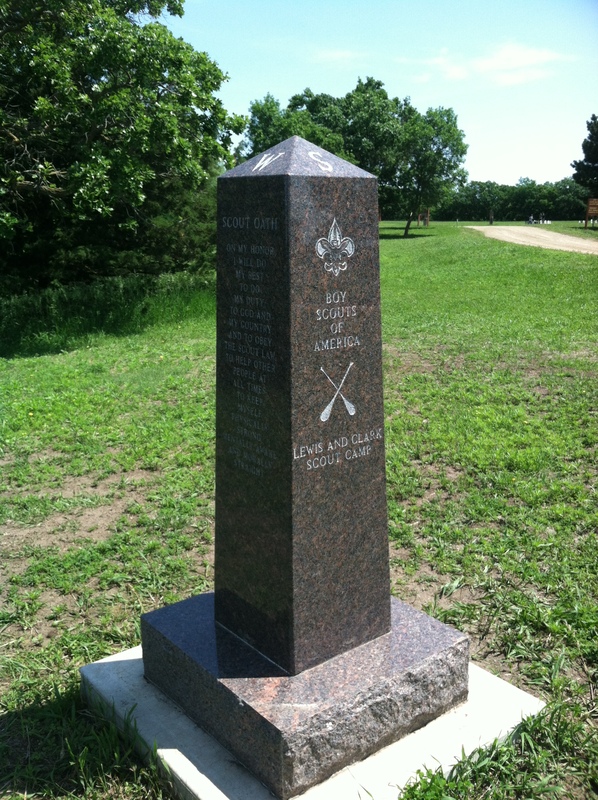 Davey’s body will be cremated and a memorial service will be held in Spring 2014 at Lewis and Clark Scout Camp. Family members have requested that anyone wishing to honor Davey’s memory can make contributions in his name to the Sioux Council, BSA. Please keep Davey’s family, including his many beloved friends in Scouting, in your prayers in this time of loss. Davey was displaced from his long-time home in Worthington, Minnesota, when the State widened a highway through town. Turning lemons into lemonade, as Scouters are wont to do, Davey worked out a life estate at Lewis & Clark Scout Reservation outside Yankton, South Dakota. He helped the camp build some much-needed facilities, as I understand it, and the camp helped him with a place to stay. I can still hear him smile, raise his hand, and say “On my honor…” . This entry was posted on	September 29, 2013 at 8:00 pm	and is filed under Council. While working with Davey, I came to know him as a man of dedication, commitment, and respect. The other staff would joke about all the good times we had with Davey even before he died. But the thing that hits me the most is that because he had been working at Lewis and Clark for so long, we starting saying he was immortal, and now I realize that, in a comforting way, he is. He left behind an amazing legacy and will not be forgotten.